“If someone gets sick today, the whole family will have to lead a beggarly life. What is the purpose of living in this country if the parents of a child who had fallen sick and sometimes their close relatives have to go begging to collect funds to get the child cured? What’s the purpose of a government to this country if it cannot take measures to cure a sick child? However, the governments that cannot find measures to cure the sick of our class have ample funds to spend when the stalwarts of their class get sick. This is the difference. 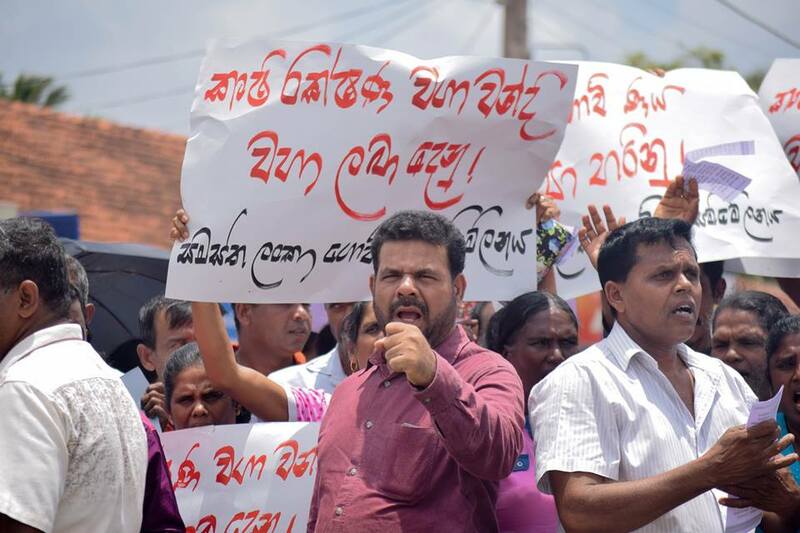 Mr Rajitha Senaratna is the person who brought down the health services in the country to the rock bottom. He felicitated himself. He invoked upon himself a title called ‘suwapathy’. Is it something the health services couldn’t do without? We have ‘Janadhipathy’ and ‘Polispathy’. But we didn’t have a ‘suwapathy’. Now Rajitha has filled that. 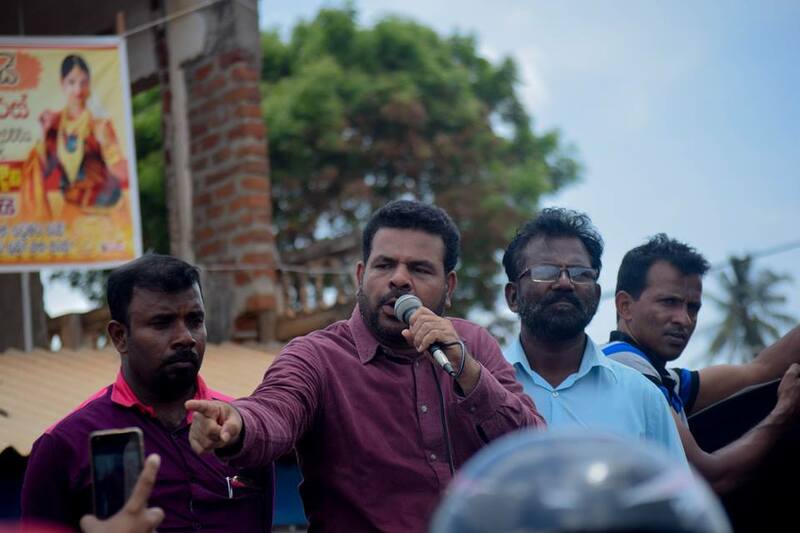 However, Rajitha cannot be a ‘suwapathy’ but would be a ‘pasu pathy’ – the cowhand,” says the General Secretary of the JVP Tilvin Silva. 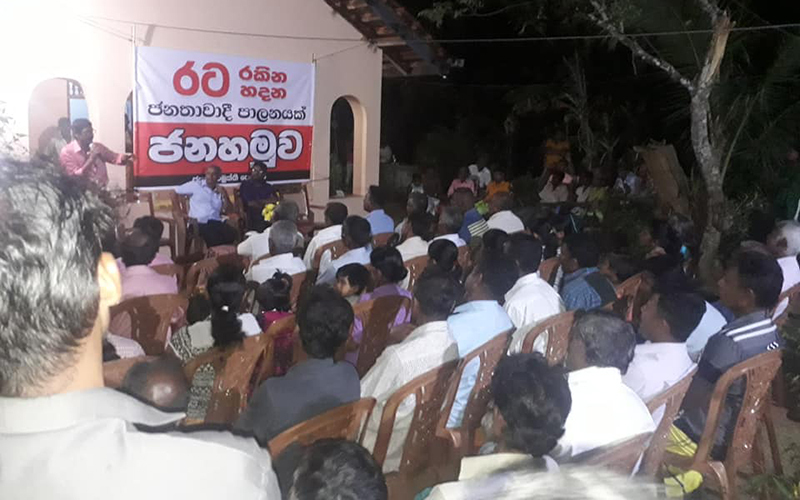 Mr Tilvin Silva made these observations when he addressed a meeting at Colonna area as a part of the ‘Ten Thousand Meetings’ programme of the JVP being held throughout the country under the theme “People’s Administration to Develop & Protect Country”. 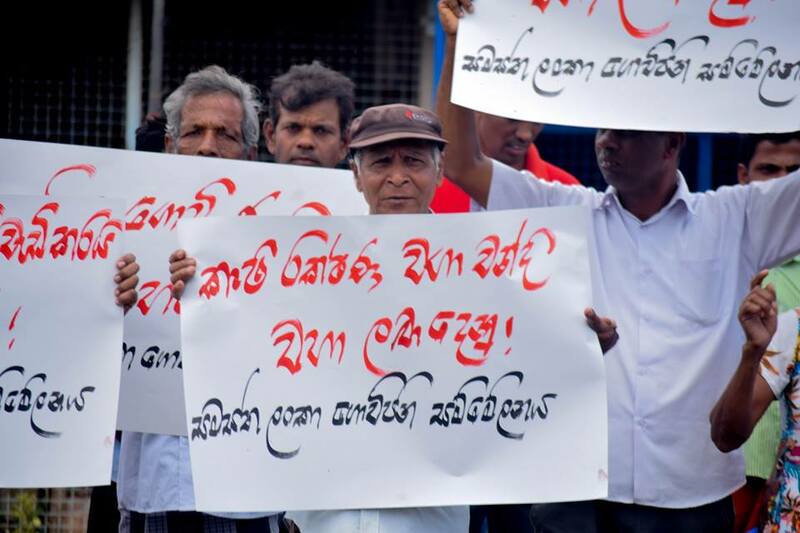 Speaking further the General Secretary of the JVP said, “The so-called ‘suwapathy’ fell sick last year. He had chest trouble. He got treatment from Mount Elizebeth Hospital in Singapore. He didn’t go to Nagoda Hospital for treatment. His hospital bill was paid by the government. It is our tax money. 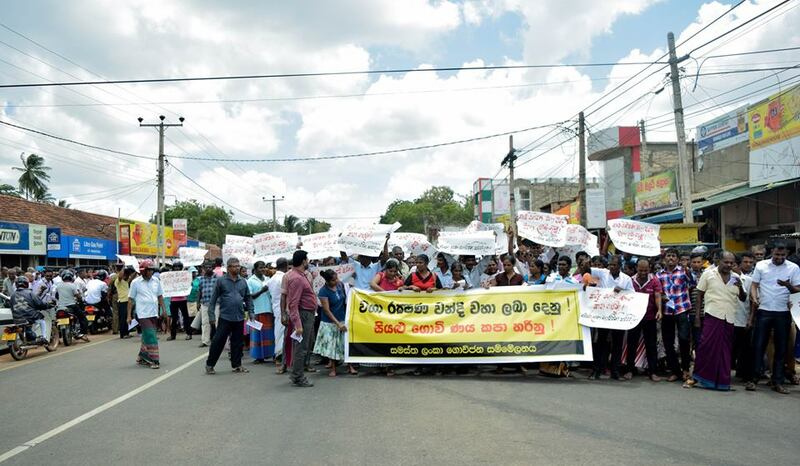 Mrs Sujatha Senaratna didn’t have to go to the streets holding a board asking for help saying they cannot afford to pay the hospital bill. For them what is needed happen automatically. Mr Keheliya attempted to come out of a window in a hotel room in Australia and broke his leg. Some say he was trying to ‘play squares’. He was treated in Australia and the cost was Rs. 20 million. 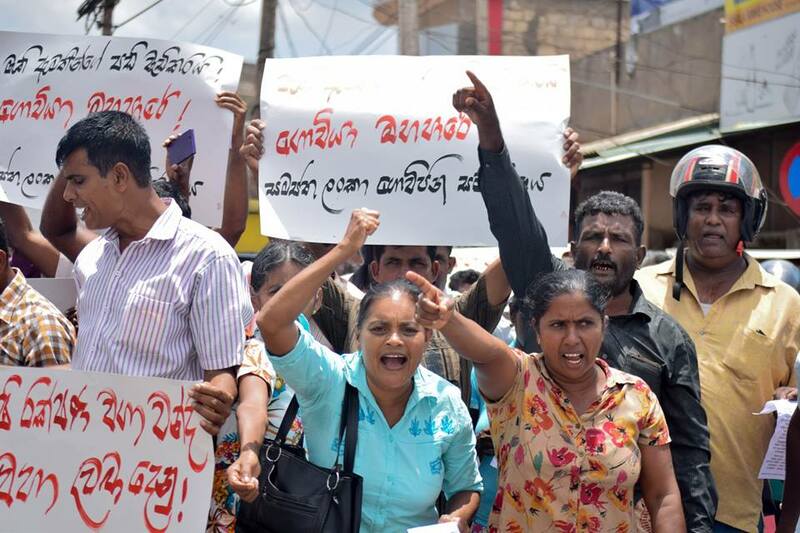 It was paid from President’s fund by Mr Mahinda Rajapaksa. It is the same with Mr Mahinda Rajapaksa. He takes treatment for his backache from Singapore. We came to know about it from Mr Chamal Rajapaksa. When powerful politicians get sick they get treatment from Singapore. However, the poor masses that get sick either has to go begging or die of the sickness. These are not jokes but issues of life and death. There are no free medicines now. We have to pay for the medicine. There are hospitals but medicine has to be bought from outside. It is difficult to get admitted to a government hospital without money. No need to go to the OPD to get admitted to a ward and get a bed. There is another way. It is the road to channel service. The doctor when channelled will give a chit for the patient to enter his ward. If a poor person gets an acute sickness he would have to forget about living. An emergency party leaders’ meeting has been convened and all party leaders have been asked to attend. This was announced in Parliament a few moments ago by the Speaker. The Speaker Karu Jayasuriya said the meeting is convened to take a decision regarding provincial council elections. At least 29 children have been killed and 30 wounded in a Saudi-led coalition airstrike in Yemen, the International Committee of the Red Cross says. 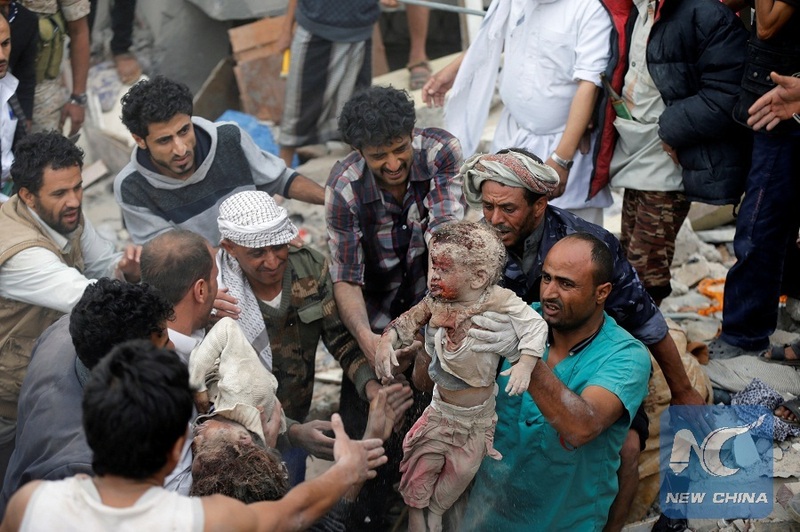 Meanwhile, Al Masirah TV said an airstrike by the Saudi-led coalition fighting Shiite rebels hit a bus driving in a busy market in northern Yemen on Thursday, killing at least 50 people including children and wounding 77. The Saudi-led coalition has admitted the attack stating it targeted the rebels, known as Houthis, who had fired a missile at the kingdom’s south on Wednesday, killing one person who was a Yemeni resident in the area. International Committee of the Red Cross said on Twitter that its team at an ICRC supported hospital in Saada received the bodies of 29 children, all under 15 years old. It also received 48 wounded people, including 30 children, it said. U.N. Secretary-General Antonio Guterres condemned the coalition air strike and called on all parties to spare civilians and “to respect their obligations under the international humanitarian law. The position of the Leader of the Opposition would remain with Mr R Sampanthan according to the composition in Parliament and it could not be handed over to any other party announced the Speaker Karu Jayasuriya a few moments ago. Quoting traditions accepted in other countries and also the tradition accepted by Parliament in Sri Lanka the Speaker said the political party or the alliance in the opposition that has the highest number of MPs in Parliament and that doesn’t represent the ruling party should be appointed the Leader of the Opposition. Accordingly, Mr R Sampanthan has been appointed the Leader of the Opposition and as the UNP and the UPFA have joined to form the ‘national government’ the position of the Leader of the Opposition cannot be given to either of the parties said Speaker Karu Jayasuriya. 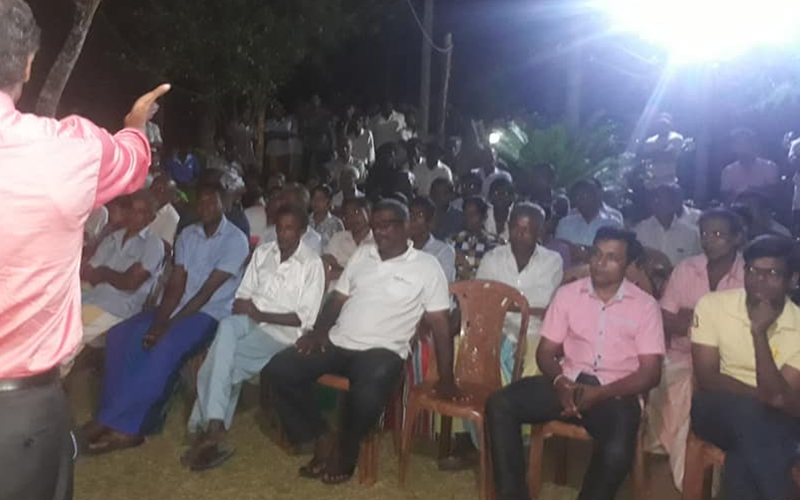 Farmers in Medawachchiya area engaged in an agitation blocking A-9 road to demand the government to write off their debts as their crops were continuously destructed during the five seasons. 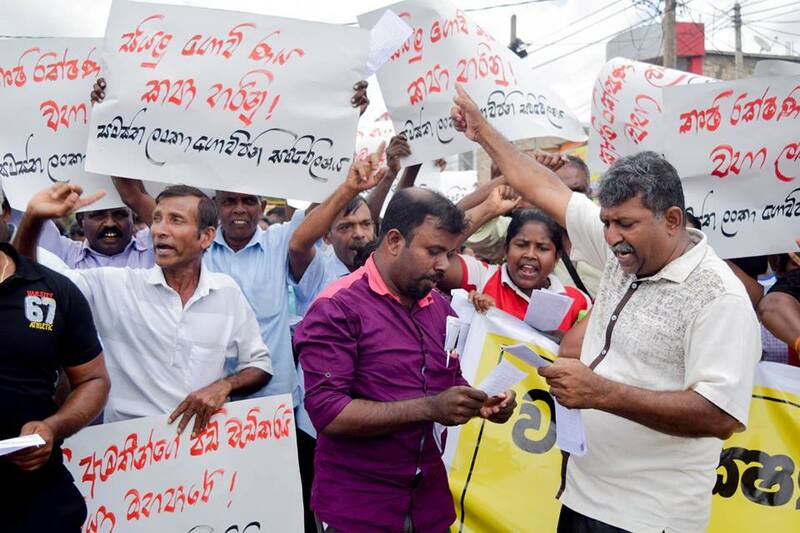 The farmers participating in the agitation say their crops failed during the last five seasons due to the shortage of water and other reasons and due to inability to pay back the loans they had obtained for their cultivations most of the families in the area have been forced into destitution. Meanwhile, the cultivation insurance compensation they are entitled to has not been paid yet they complain. 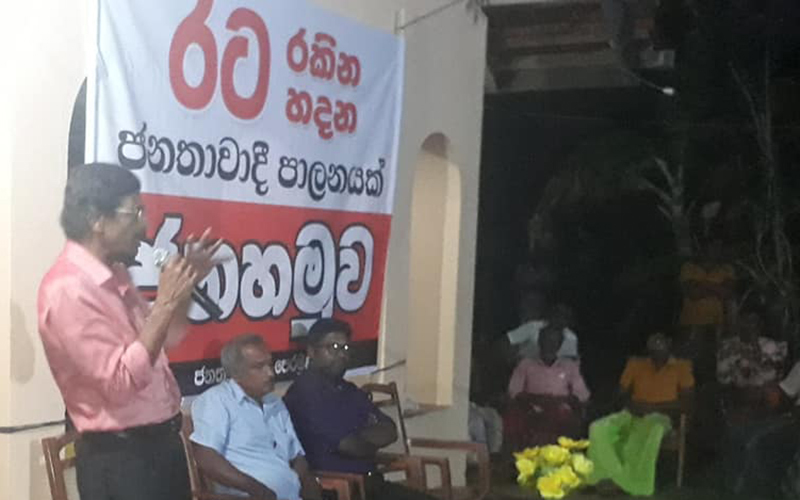 The National Organizer of All Ceylon Farmers’ Federation Namal Karunaratna and its Vice-President Susantha Nawarathna joined the agitation in support of the farmers of Medawachchiya. 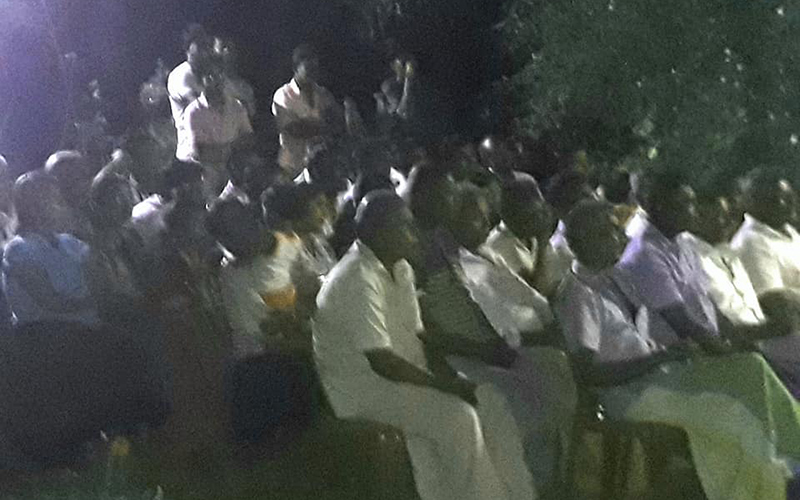 The agitators dispersed after Medawachchiya Divisional Secretary promised to find solutions for the farmers’ issues within a week.